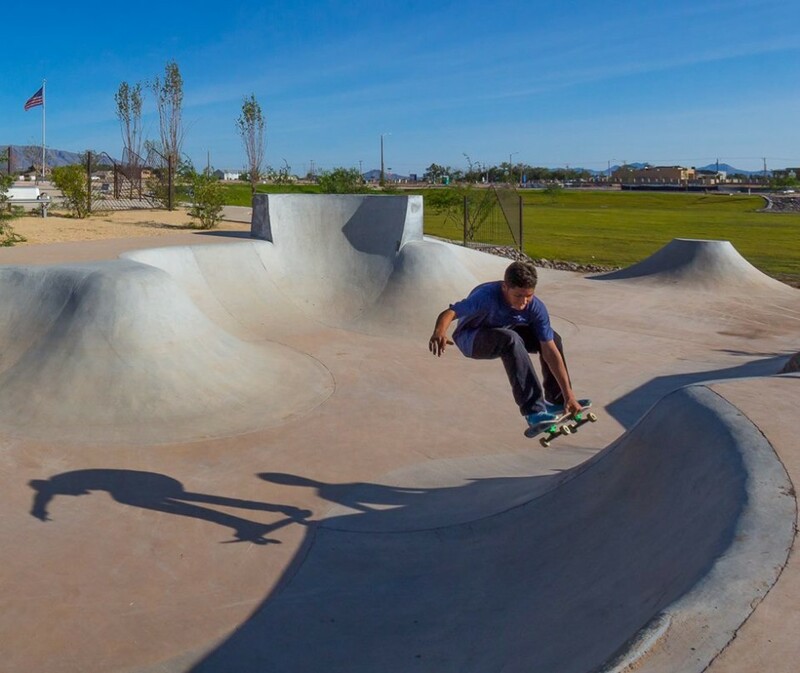 El Paso has plenty of great skateable ditches – original “not built for skating” stormwater drainage & a new generation of “dual-purpose” concrete ditches designed for both ripping & migrating water. And while most municipalities prefer to keep folks out of ditches for safety reasons, EPSA has managed to convince key people that skateboarding & ditches are like peanut butter & jelly. The common denominator? Both require good flow. With a little luck and a load of hard work, here’s a list of storm water projects we’ve been able to influence. If the ancient Mayan civilization could build a killer ditch spot, it would probably look a lot like this. Moving storm water from the street to a central pond park has never been so ssssss-sensational. 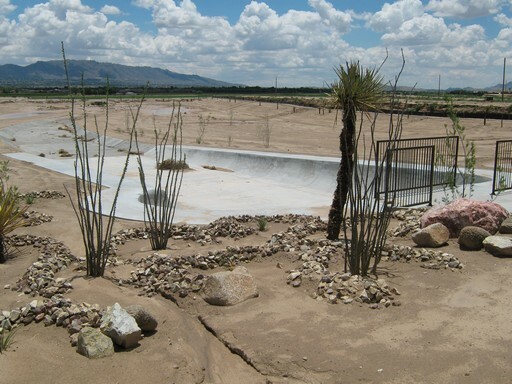 Our first made-to-skate ditch project in nearby Santa Teresa, NM made in partnership with Scott Winton of Winton Homes. 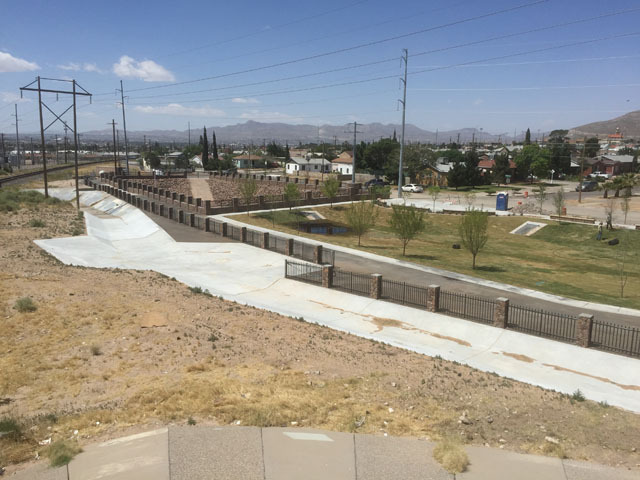 Great for beginners, this wide open layout got a last minute blessing from El Paso Water Utilities – it’s their 2nd skate friendly project with EPSA.